An awards ceremony was held on Dec.3 evening in Paris, where intense climate talks among over 150 countries are taking place, with the participation of municipal officials, entrepreneurs, scholars and media representatives. 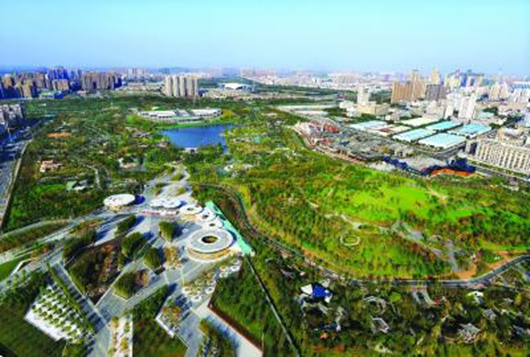 Wuhan, the capital of central China’s Hubei province, was awarded in the category of solid waste, for the ecological restoration project of Jinkou landfill, which successfully transformed the city’s largest landfill site into an ecological park. In total, 10 cities were awarded in 10 different categories such as smart cities engagement, adaptation implementation, building energy efficiency and green energy. Other winning cities included New York, Cape Town, Rotterdam, Vancouver and Stockholm. The annual awards were established in 2013 by the C40 Cities Climate Leadership Group, a non-profit organization connecting large cities with each other so as to share good practices on tackling climate change.